Berklee College of Music, 160 Mass Ave. Residence Hall — The Green Engineer, Inc.
Berklee College of Music: Residence Hall at 160 Mass Ave.
Acclaimed as Berklee's largest residential project, this 16-story mixed-use tower looms as a beacon over the busy campus along Mass. Ave. in Boston. 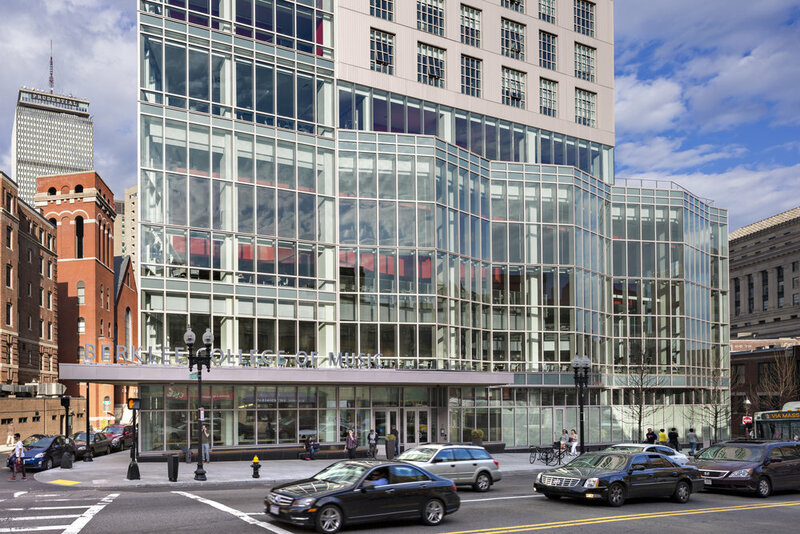 The first four levels serve as retail spaces to the public and a large, double height cafeteria space for Berklee students. the 5th through 16th stories above are dedicated student living spaces and study rooms, amenity areas and lounges. Using high-efficiency fixtures within the residential areas of the project, the building is able to boast an estimated 45% reduction in anticipated water use. 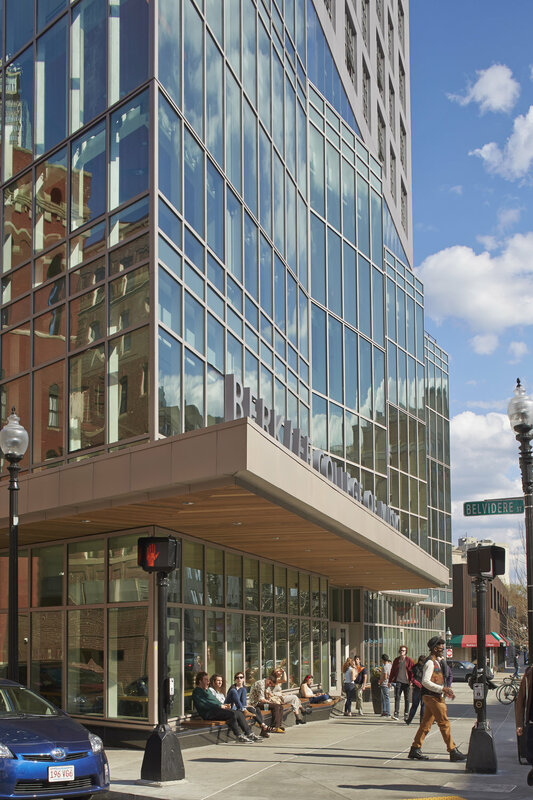 It's Urban location provides the occupants of the building with ample access to services, public transit, entertainment and amenities beyond those provided on the Berklee campus.